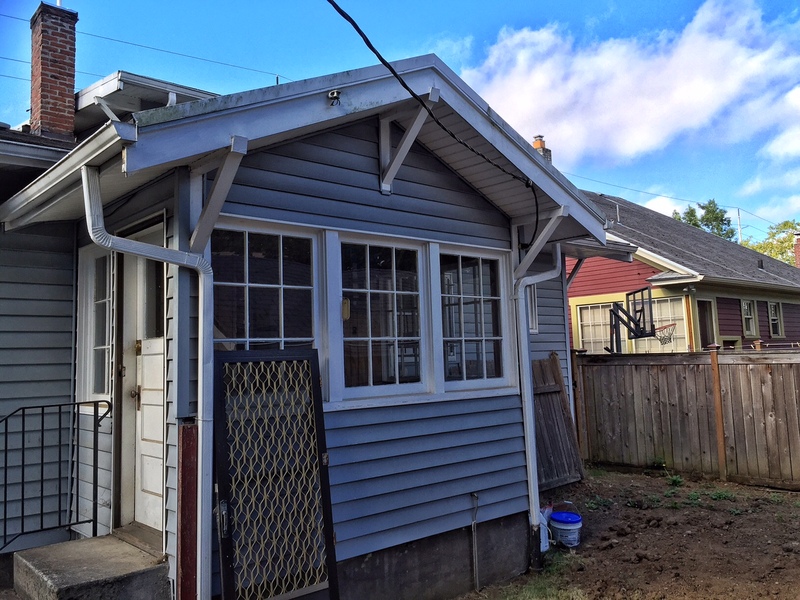 The Alameda neighborhood received notice last week from developer Green Canopy alerting us that demolition of the 95-year-old home at NE 30th and Skidmore will begin on Tuesday, August 30th, and will probably take five days. Click here for background on what’s coming and the context behind this demolition. And here’s a link to an earlier post we wrote that includes a photo of the house from 1921, the year it was built by the Wickman Building Company for the George Kettleberg family. We know the date with the wrecking ball is coming, so we dropped by in the early morning light to have a last look around, seeking clues to the generations of families and neighbors who have know this place. 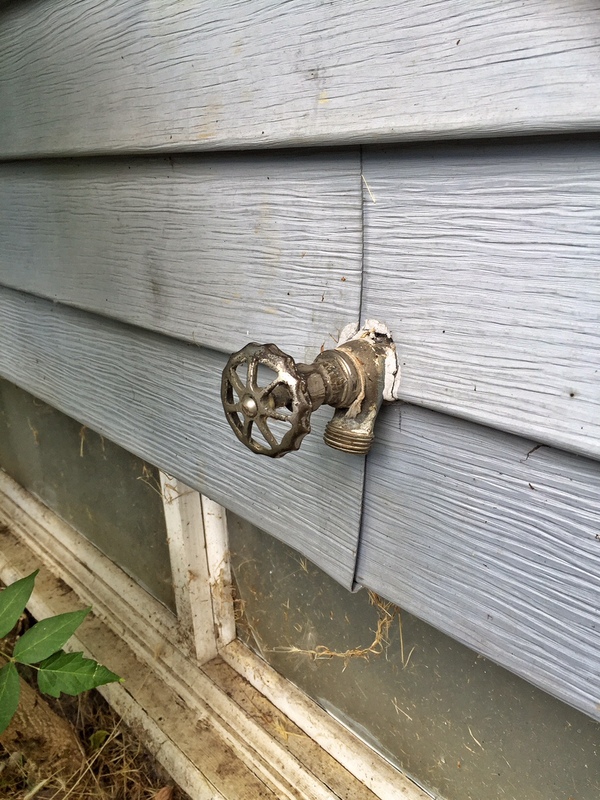 Here are some photos that document what we found. If you are inclined to send us a photo or two, or your own recollections of the house, we’ll post them here. Might be a nice way to capture some stories and perspectives. 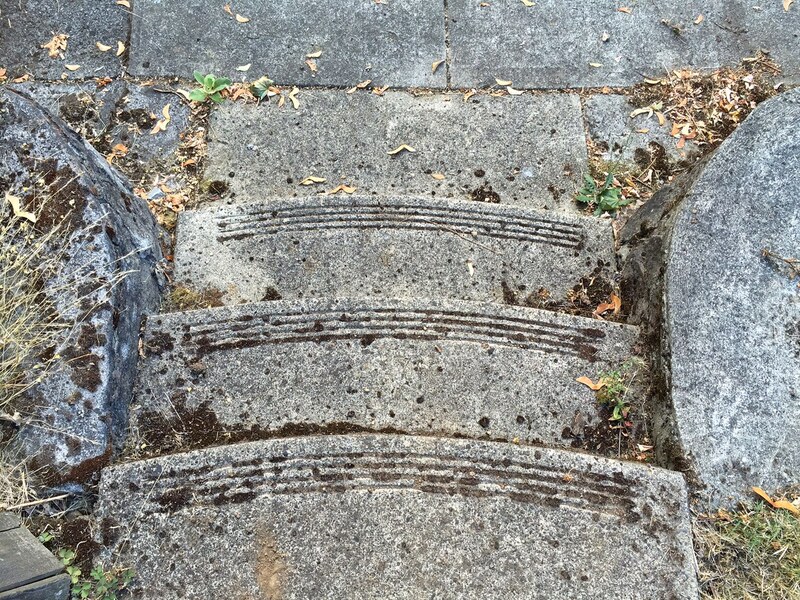 Stairs from the back door facing NE 30th Avenue. 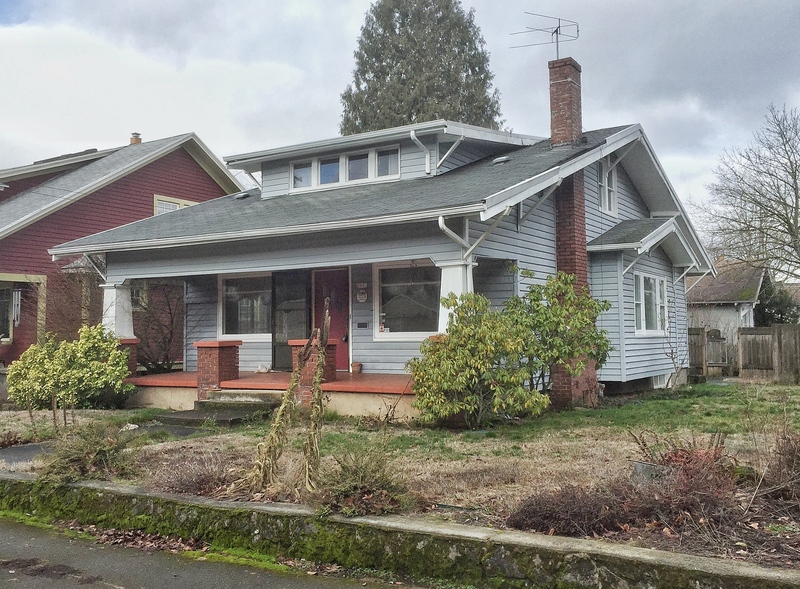 East side of the house from NE 30th. Through the livingroom window (and a reflection) toward the dining room and kitchen. 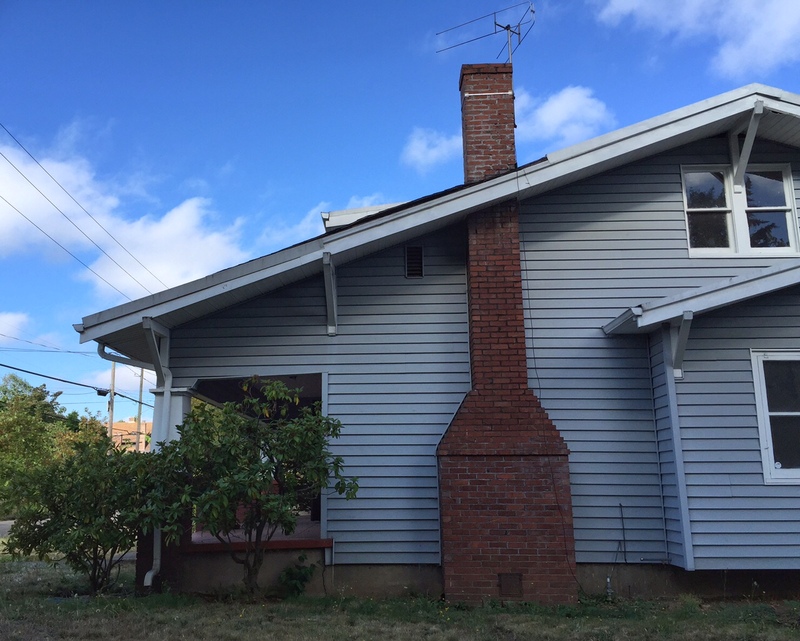 Chimney on the east side of the house. 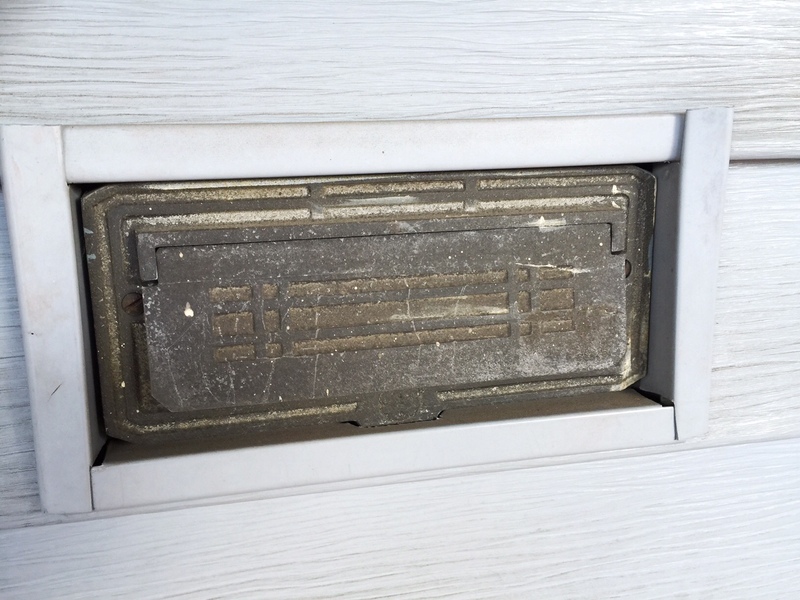 Front porch mail slot, boxed out by siding material. Looking through the back porch, the kitchen, the dining room and the living room (basement stairs on the right). 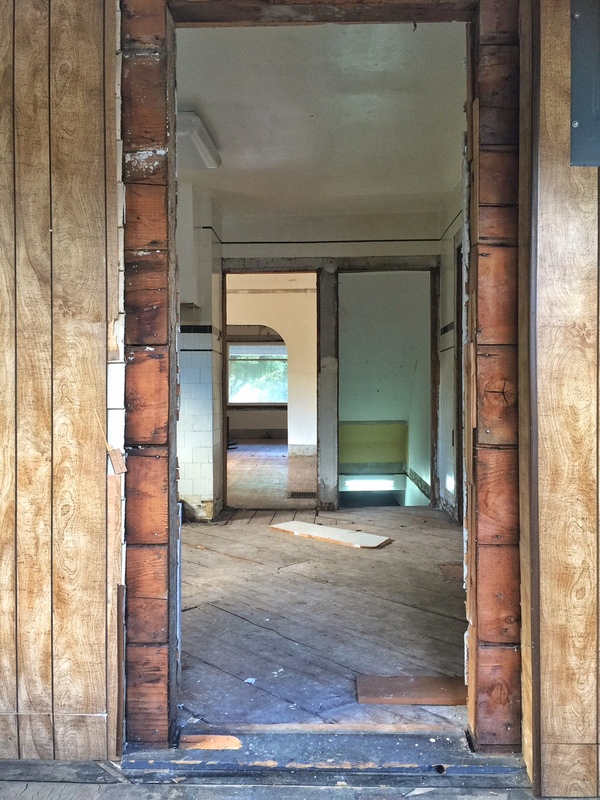 The demo crew has already removed the asbestos flooring from the kitchen. 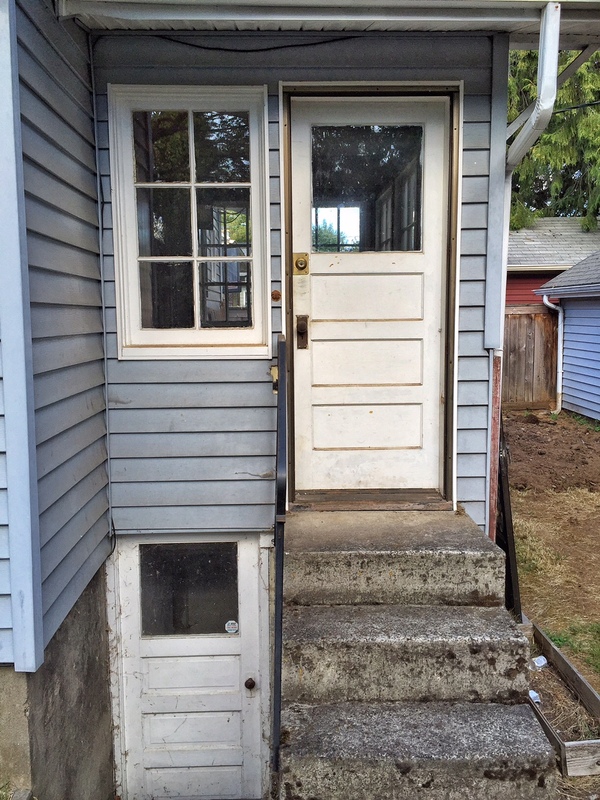 Back door and enclosed porch. Note the close proximity to the house just to the west. 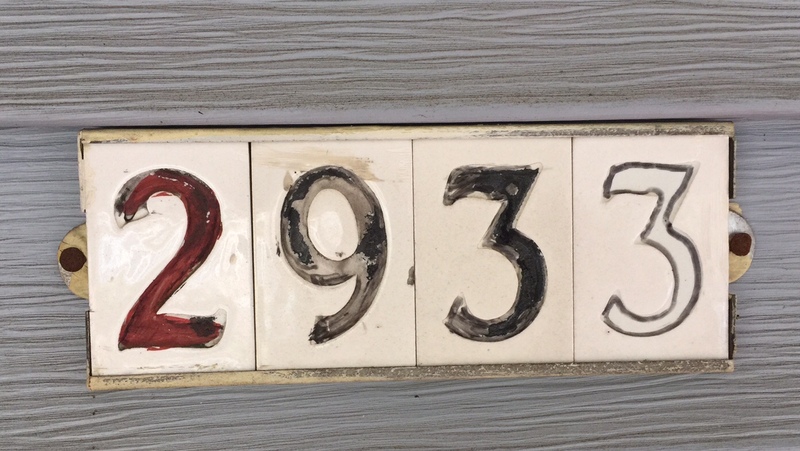 Original address tiles from the post 1930s address change. The original address was 915 Skidmore Street. Hopefully much of the old growth lumber in the house can be salvaged for other uses. At that time 2×4’s were 2″ x 4″ and not the current 1-5/8″ x 3-1/2″ so much of the lumber can potentially be resurfaced. 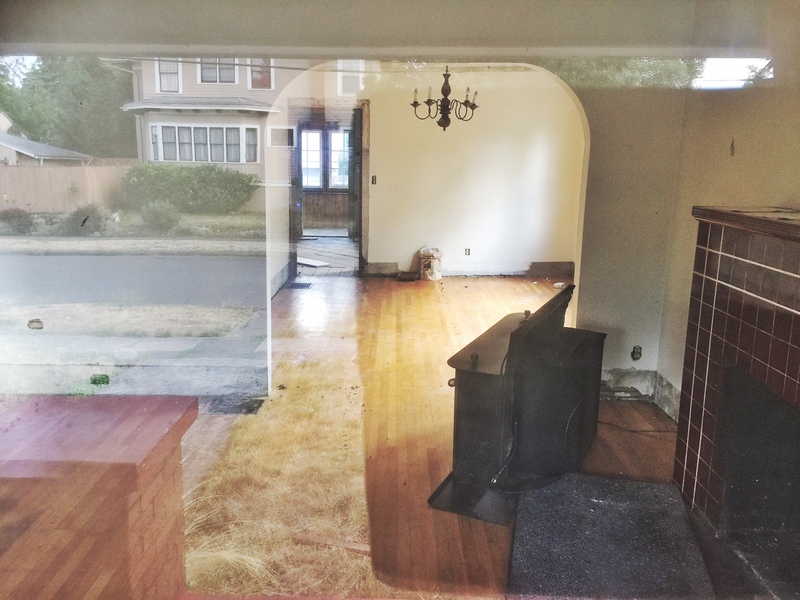 Thank you so much for documenting the lives of these homes; it does make my heart sad to see the demo of this gracious place, especially since I can picture that the replacement house will likely be lacking appropriate scale for the location. Hearteningly, many have managed to love the old houses back to life, while sustaining relevance to this day & age. This is so sad. 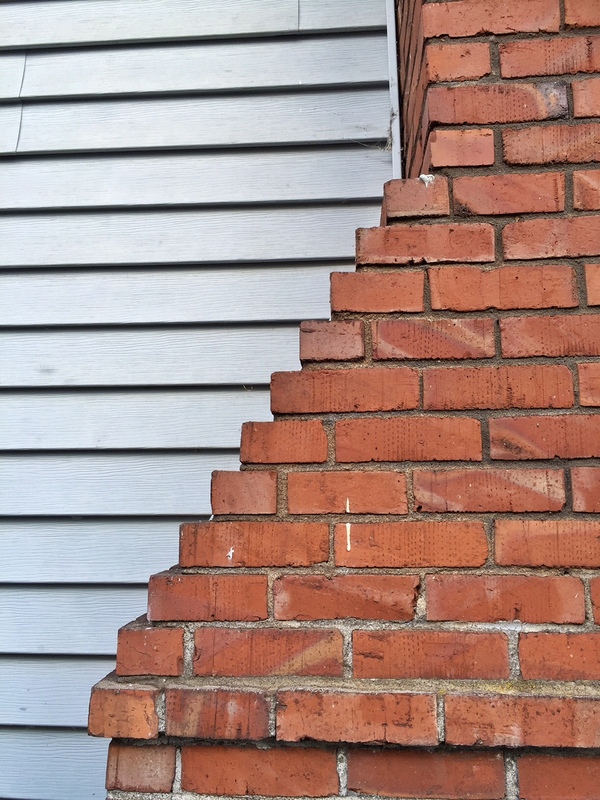 A house that has been a wonderful home to past families and could have been a wonderful home to a new family will just be smashed away and become so much history. This is on my street, only 2 short blocks away. I’ve passed it many times, I even met the last owners. Change happens but sometimes it is harder to accept. Thanks for keeping us updated on this.